For nearly all of us, our involvement with the design and construction of our furniture ends with putting together an IKEA cupboard or repainting an old table. Designer Marijn van der Poll designed the Do Hit chair, which requires not only your participation but your muscle to shape it into the perfect seat for you. 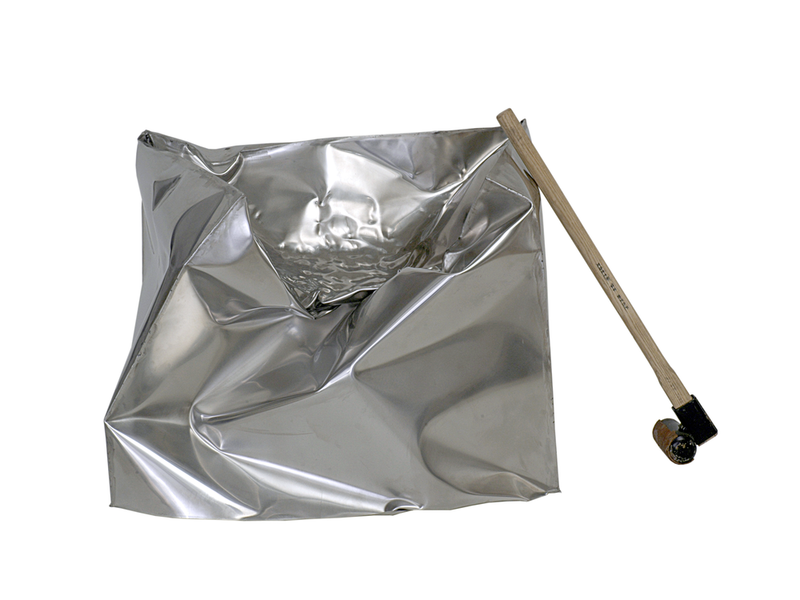 The chair comes as a big block of stainless steel and is accompanied by a mallet. Upon receiving the chair, you have a go at the metal with the mallet, shaping the seat blow by blow. Although van der Poll says that the chair is physically difficult to shape with the heavy mallet, he believes that anyone can do it. It’s sort of like going to one of those recreational “rage rooms” where you pay an admission fee to smash up somebody else’s stuff and don’t have to clean it up afterward. 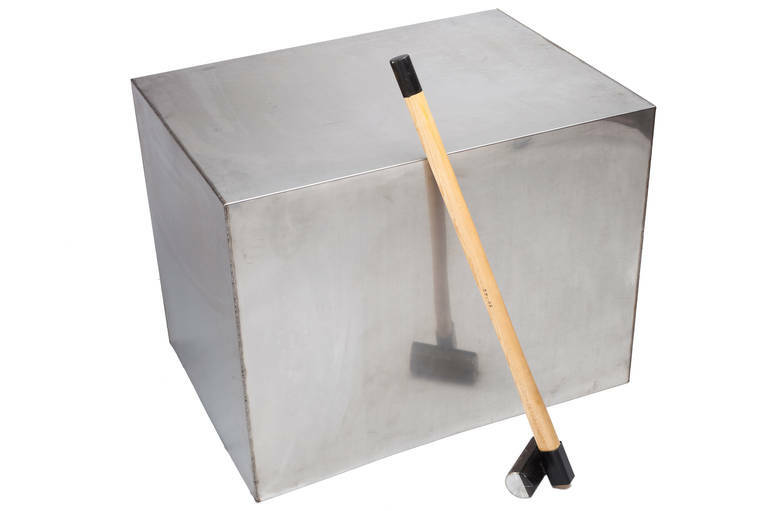 Based on the video above, it takes a lot of hard physical labor to turn the cube of stainless steel into a suitable seat. 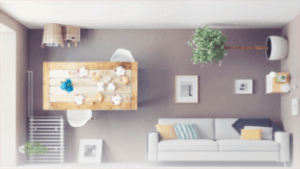 Maybe that physical experience, shaping the seat into the perfect one for you, will contribute to a more meaningful connection to your furniture. You will forever be able to look at that big dented chunk of metal and know that you created it. Van der Poll first created this highly unusual and sculptural postmodern chair in the year 2000, and has made several versions to demonstrate the process over the years. Each time, the act of smashing it with a mallet is like a work of performance art, resulting in a one-of-a-kind piece. The artist made an unsmashed “Almost” chair available for sale via conceptual design company Droog, and someone snatched it up. 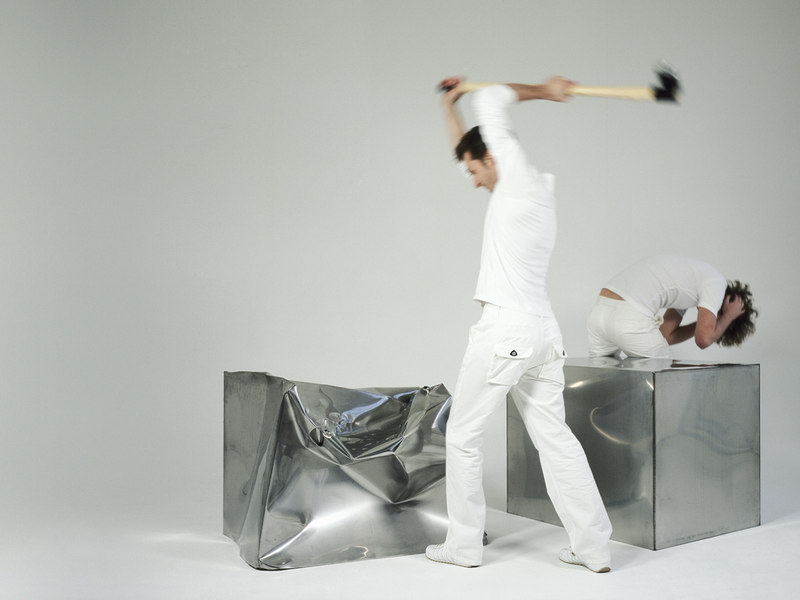 It’s not hard to see why – smashing your own metal chair is probably better than going to therapy.